Showing results for "badger the mystical mutt"
Pet Idol is in town, and Hamish, a floppy-eared spaniel, is the favourite to win. 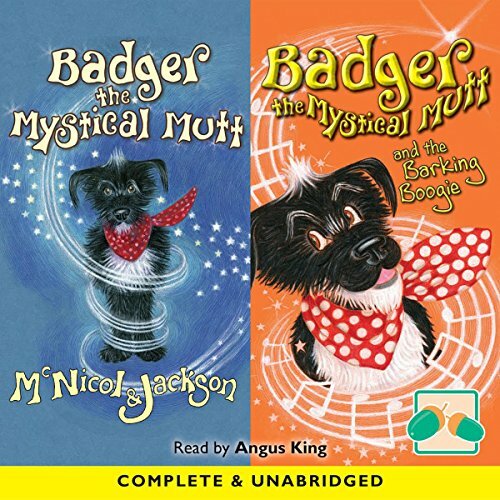 With his haphazard magic and appetite for toast, can Badger the Mystical Mutt help Hamish win Pet Idol? And a mysterious and extremely whiffy smell has caused the Pong Police to close the lane. Now, Cheryl with a C, the dancing diva who put the wah-wah in Chihuahua, has nowhere to practise for Anton Du Bark’s Hotpaws Barking Boogie, and she needs a partner!